Crop Service Center-Holland was started in 1983 with one small office/shop building and 2 employees. In 2015 Crop Service Center is now home to 13 full time employees with a combined 50+ years of experience. We have full time agronomists on hand and one Certified Crop Advisor. Our employees attend yearly trainings to enhance their knowledge of the industry. We currently serve customers in Dickinson, Saline, Clay, Ottawa, Marion, and McPherson counties. At our Holland location, we have a large fleet of Rogators, Floaters, and trucks to serve our customers. Our plant has the capacity to hold over 750,000 gallons of liquid fertilizer. We offer custom blending and a large selection of chemicals for carryout. Crop Service Center Holland is conveniently located off of a blacktop road with easy access for semi-trucks and tractors. 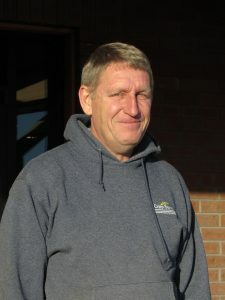 Dennis Hitz has been with Crop Service Center for 1 year. 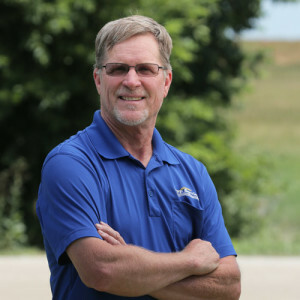 He has an agriculture degree from K-State and previously worked at Agri-Producers for 4 years and is a Certified Crop Advisor (CCA). Dennis' goals at Crop Service Center, are to help our producers achieve their goals and attain and maintain profitability in their farm. Dennis and his family attend Lifehouse Church in Abilene.